Basic knowledge about probiotics classification of beneficial bacteria and yeasts such as Lactobacillus, Bifidobacterium, Bacillus, Saccharomyces and Streptococcus species will save you time, save you money and reduce your stress level when faced with probiotic buying decisions. The probiotics and other microbes that live within you in can be compared to college-level sports. Just as there are major divisions at the collegiate sports level, such as the Division I, II and III conferences in the National Collegiate Athletic Association (NCAA), the microbiomes are dominated by a few major divisions of microbes. Within those sports division’s conferences, there are several major teams. Within those major teams, there are many positions. And then there are several players who play those positions. When discussing probiotics classification, you use a scientific classification to distinguish different levels of organization instead of a sports classification. Probiotic microbes are named first by their genus (italicized), then by their species (italicized), and sometimes then by their strain, like this example: Lactobacillus acidophilus strain X, Lactobacillus acidophilus X or L. acidophilus X. One thing to be aware of, so that you’re sure you are getting the species you want, is that there can be more than one species that is abbreviated with the same first letter. 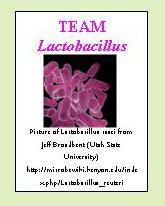 For example, “L.” can mean Lactobacillus or Lactococcus or Listeria or any other “L” genus name. 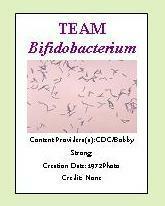 “B.” can be Bifidobacterium or Bacillus or Bacteroides or any other “B” genus name. It pays to know the differences! The difference between sports classification and scientific probiotics classification is that while the players on a team probably are not all genetically related, the microbes in a particular genus are genetically related. The genome in a genus includes a number of core genes which every species in that genome has. Then, every strain in each of those species has the same core genes, too. The differences lie in the variable genes which differ between every species and every strain. What is the Point of This Probiotics Classification? So why is knowing this information helpful? Because you don’t want to spend money on a probiotic supplement or probiotic-fortified product that isn’t going to perform like you expect it to do, or worse yet, have the wrong species in it. Yes, most probiotic microbes have general positive benefits, and most probiotics in the same genus have basic, similar properties, but not all Bifidobacterium act alike, nor do all Lactobacillus microbes. And while most people think that all E. coli are terrible for us, there’s actually a strain that is used as a probiotic! The effectiveness of probiotics, in many cases, is both strain-specific and condition-specific. For example, if Lactobacillus rhamnosus strain A is shown to benefit the condition of rotavirus diarrhea, then other strains of Lactobacillus rhamnosus such as strains B, C, and D may or may not benefit the condition of rotavirus diarrhea in the same way. And while that Lactobacillus rhamnosus strain A may benefit the condition of rotavirus diarrhea, it may not benefit the condition of a vaginal bacterial infection that L. rhamnosus strain B might help. Unfortunately, many manufacturers are claiming that their probiotic formulas are "proprietary" and they won't disclose which strains are in the different species. When I know the strain names, I'll tell you. Some strains are patented and marketed around the globe, and products using them are proud to display the strain. In that case, you can protect your health and save money by buying the product with the strain you want. And so now you see how knowledge about probiotics classification can save you time, save you money and save your sanity when shopping for probiotics! 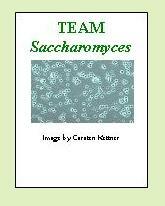 If you're still curious about some of the terms used to describe microbes, more information can be found here. Return to the general flora page. 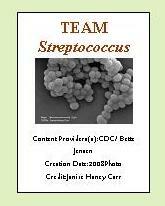 Go to this page to learn about CFU. Here's why you need to know about CFUs in products.